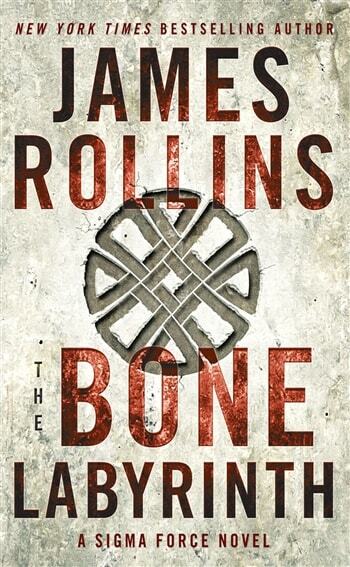 VJ Books Presents Author James Rollins! 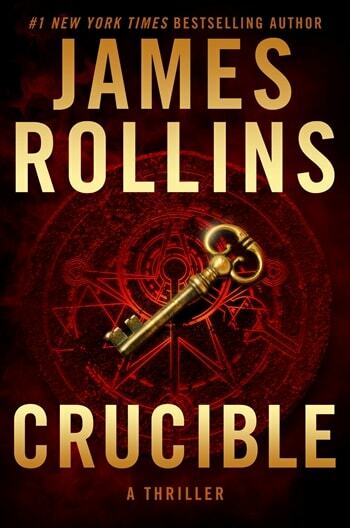 James Rollins is the New York Times bestselling author of international thrillers who is best known for unveiling unseen worlds, scientific breakthroughs, and historical secrets. His knack for breakneck pacing and stunning originality has been hailed by millions of readers around the world. 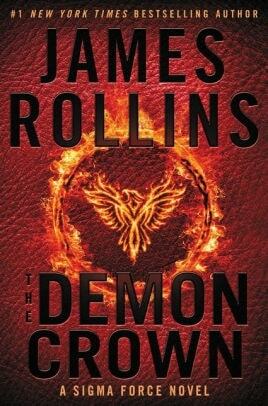 The exotic locales of James Rollins novels have emerged as a hybrid between imagination, research, and his extensive travels throughout the world. 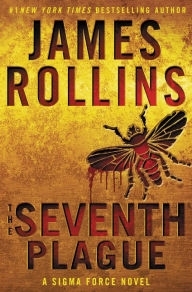 James Rollins is the author of the bestselling Sigma Force series, the Tucker Wayne series, the Order of Sanguine series, nine individual adventure thrillers, and the Jake Ransom middle grade series. He also writes under the pseudonym of James Clemens; writing The Banned and the Banished series and the Godslayer series. 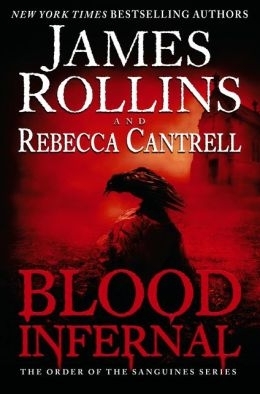 Rollins also co-authors books with Grant Blackwood and Rebecca Cantrell. Signed Hardcover Book May 2014 NY: Morrow First edition, first printing, mint, new/unread in a flawless dust jacket, signed by both authors. Each dust jacket is protected in an acid-free archival quality acetate cover. Signed Hardcover Book. April 2016 NY: HarperCollins First edition, first printing, mint, new/unread in a flawless dust jacket, signed by both authors. Each dust jacket is protected in an acid-free archival quality acetate cover. Author Signed Hardcover Book. August 2014 NY: HarperCollins First edition, first printing, mint, new/unread in a flawless dust jacket, signed by the author including author drawn doodle. Each dust jacket is protected in an acid-free archival quality acetate cover. Author Signed Hardcover Book. 2014 NY: Morrow First edition, first printing, fine in a fine dust jacket, signed by the author, remainder marked. Each dust jacket is protected in an acid-free archival quality acetate cover. Author Signed Hardcover Book. December 2009 NY: HarperCollins First edition, first printing, mint, new/unread in a flawless dust jacket, signed and including author drawn doodle. Each dust jacket is protected in an acid-free archival quality acetate cover. Author Signed Hardcover Book. 2009 NY: Morrow First edition, first printing, fine in a fine dust jacket, signed by the author. Each dust jacket is protected in an acid-free archival quality acetate cover. Author Signed Hardcover Book. 2002 NY: Morrow First edition, first printing, mint, new/unread in a flawless dust jacket, signed by the author including author drawn doodle. Each dust jacket is protected in an acid-free archival quality acetate cover. Author Signed Hardcover Book 2002 NY: Morrow First edition, first printing, near-fine (minor stain FFEP) in a fine dust jacket, signed by the author. Each dust jacket is protected in an acid-free archival quality acetate cover. Author Signed Hardcover Book 2002 NY: Morrow First edition, first printing, fine in a fine dust jacket, signed by the author. Each dust jacket is protected in an acid-free archival quality acetate cover. Author Signed Hardcover Book. 2006 NY: HarperCollins Bookclub edition, fine in a fine dust jacket, signed by the author. Each dust jacket is protected in an acid-free archival quality acetate cover. Author Signed Hardcover Book. 2006 NY: HarperCollins First edition, first printing, mint, new/unread in a flawless dust jacket, signed by the author. Each dust jacket is protected in an acid-free archival quality acetate cover. Author Signed Hardcover Book. 2006 NY: HarperCollins First edition, first printing, fine in a fine dust jacket, signed by the author. Each dust jacket is protected in an acid-free archival quality acetate cover. Author Signed Hardcover Book. June 2012 NY: HarperCollins First edition, first printing, mint, new/unread in a flawless dust jacket, signed by the author including author drawn doodle. Each dust jacket is protected in an acid-free archival quality acetate cover. Author Signed Hardcover Book. June 2012 NY: HarperCollins First edition, first printing, fine n a fine dust jacket, signed by the author including author drawn doodle, remainder marked. Each dust jacket is protected in an acid-free archival quality acetate cover. Author Signed Hardcover Book. December 2015 NY: HarperCollins First edition, first printing, mint, new/unread in a flawless dust jacket, signed by the author including author drawn doodle. Each dust jacket is protected in an acid-free archival quality acetate cover. Author Signed Hardcover Book. December 2015 NY: HarperCollins First edition, first printing, fine in a fine dust jacket, signed by the author, remainder marked. Each dust jacket is protected in an acid-free archival quality acetate cover. Author Signed Hardcover Book. December 2017 NY: William Morrow First edition, first printing, mint, new/unread in a flawless dust jacket, signed by author. Each dust jacket is protected in an acid-free archival quality acetate cover. Author Signed Hardcover Book. June 2011 NY: HarperCollins First edition, first printing, mint, new/unread in a flawless dust jacket, signed by the author. Each dust jacket is protected in an acid-free archival quality acetate cover. Author Signed Hardcover Book. June 2011 NY: HarperCollins First edition, first printing, fine in a near-fine dust jacket, signed by the author. Each dust jacket is protected in an acid-free archival quality acetate cover. Author Signed Hardcover Book. June 2009 NY: HarperCollins First edition, first printing, fine in a fine dust jacket, signed by the author including author drawn doodle, remainder marked. Each dust jacket is protected in an acid-free archival quality acetate cover. Author Signed Hardcover Book. June 2013 NY: William Morrow First edition, first printing, mint, new/unread in a flawless dust jacket, signed by the author. Each dust jacket is protected in an acid-free archival quality acetate cover. Author Signed UK Hardcover Book. 2013 LON: Orion First UK edition, first printing, mint, new/unread in a flawless dust jacket, signed by the author. Each dust jacket is protected in an acid-free archival quality acetate cover. Author Signed Hardcover Book. 2003 NY: Morrow First edition, first printing, mint, new/unread in a flawless dust jacket, signed by the author including author drawn doodle. Each dust jacket is protected in an acid-free archival quality acetate cover. Author Signed Hardcover Book. 2003 NY: Morrow First edition, first printing, fine in a fine dust jacket, signed by the author including author drawn doodle. Each dust jacket is protected in an acid-free archival quality acetate cover. Author Signed Hardcover Book. 2003 NY: Morrow First edition, first printing, fine in a fine dust jacket, author signed bookplate on FFEP. Each dust jacket is protected in an acid-free archival quality acetate cover. Author Signed Hardcover Book. May 2011 NY: HarperCollins First edition, first printing, mint, new/unread in a flawless dust jacket, signed by the author including author drawn doodle. Each dust jacket is protected in an acid-free archival quality acetate cover.